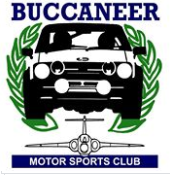 The ethos of BMSC has always been to have multi skilled club members, we predominantly carry out timing roles on stages we commander, our team are self sufficient in stage commanders, deputies, safety officers and many other roles. Our stage build has won event awards and continues to be the bench mark for many events. We have great radio skills too, and our team are able to be dropped into any position in stage and excel at whatever task is allocated.